This is a fifth PDP-11/40 system that I acquired in November 2007. 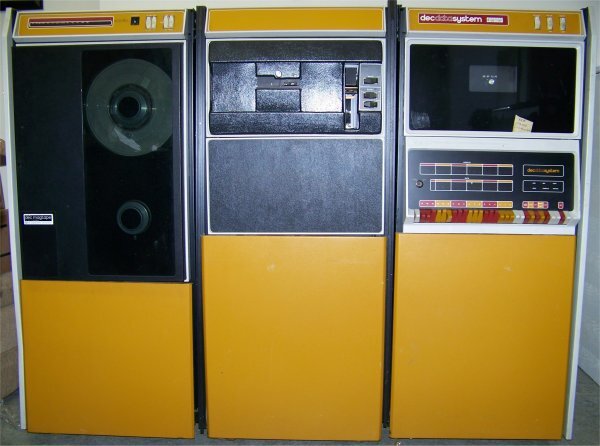 It is packaged in a yellow color scheme as a DecDataSystem, and is in the shorter rack. 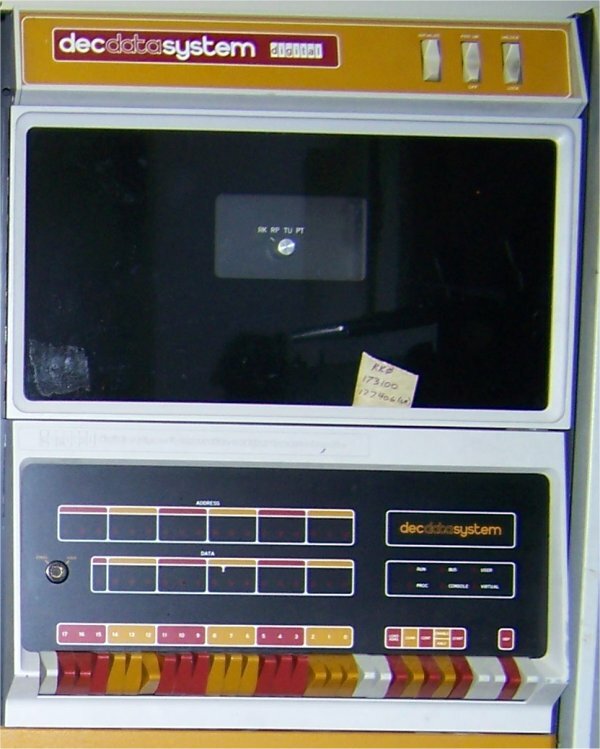 The system is configured with a TU10 MagTape unit, a PC05 Paper Tape reader/punch unit, a device select unit, and an RK05F drive (not pictured). The front panel and all the components and racks are in good cosmetic condition. I have not attempted to do anything with this system yet.